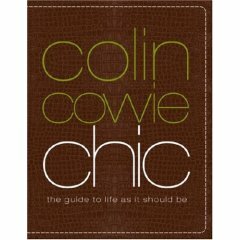 While reading some old party planning stories, I ran across a few articles that feature Colin Cowie. Thankfully, there weren't any pictures of CC (you know I hate looking at him), but there were some clever party tips that I thought I would share. • Entertain simply. Don’t complicate meals and parties. • Always look your best, elegant, yet comfortable and relaxed. • The home is a window into your personality and style. Bring it to life. • Keep the following items in your guest room: notepad, pen, alarm clock, phone, water carafe and glass and a personalized welcome note.